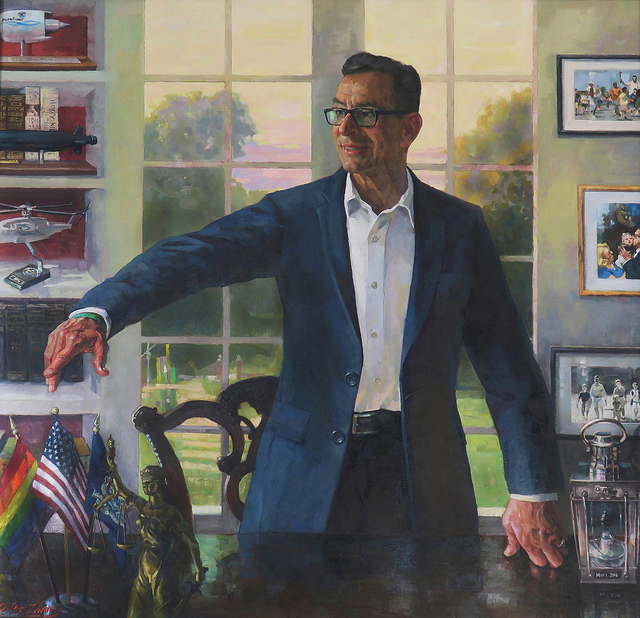 #HARTFORD, CT – The official state portrait of Governor Dannel P. Malloy was unveiled during a ceremony today at the Museum of Connecticut History that was attended by the Governor, First Lady Cathy Malloy, Lt. Governor Nancy Wyman, family members and friends, administration officials, and former and current staff members. Commissioning a portrait of each outgoing governor as that person is completing his or her duties in office is a longstanding tradition in Connecticut that dates back to the early 1800s. Since 1910, this collection has been on public display at the museum’s Memorial Hall, which is located inside of the State Library and Supreme Court building in Hartford. the John F. Kennedy Profile in Courage Award that he received in 2016. As he stands, he motions his right hand toward a person who is out of frame, revealing a green bracelet on his wrist that represents the 26 students, school administrators, and teachers who were tragically killed during a mass shooting at Newtown’s Sandy Hook Elementary School in 2012. Zhang was born in Shanghai, China and later immigrated to the United States. 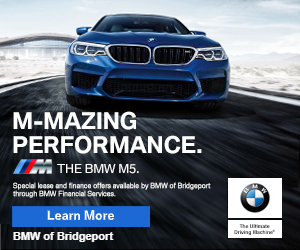 He works as a painter and teaches art in his hometown of East Lyme, Connecticut. He has received various awards at home and abroad, and his artwork has been included in exhibits throughout the world. Zhang, whose two cultures are reflected in his versatile styles of artwork, specializes in realism. He is known for pieces depicting people of his native China in vivid colors and costumes, while other renowned pieces include western ballet dancers. In addition, he enjoys painting portraits, landscapes, sea sunrise and sunsets, as well as autumn in New England. Zhang belongs to a number of organizations including Master of the Oil Painters of America, Master of the Copley Society of Art – Boston, and Salmagundi Art Club of New York. The Museum of Connecticut History is located at 231 Capitol Avenue in Hartford inside of the State Library and Supreme Court building, directly across the street from the State Capitol. Admission is always free and it is open six days a week: Mondays through Fridays from 9:00 a.m. to 4:00 p.m., and Saturdays from 9:00 a.m. to 2:00 p.m.